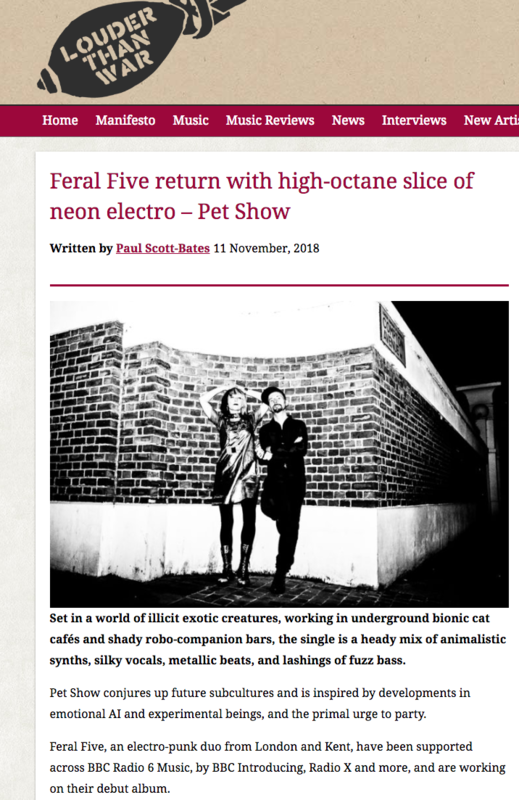 Our new single ‘Pet Show’ is featured in Louder Than War. 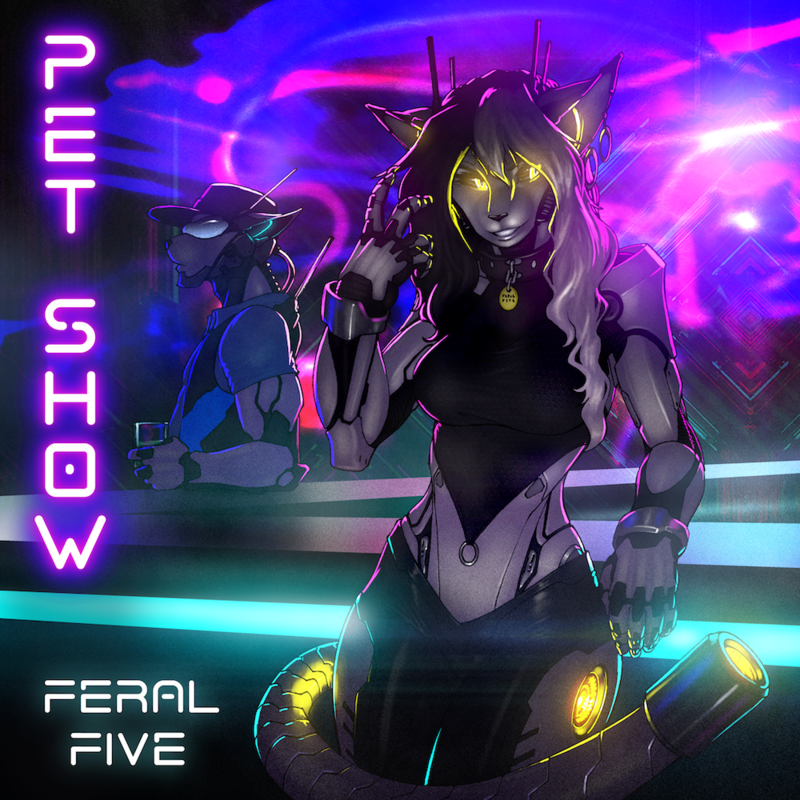 An AI-inspired slice of neon electro, it’s set in a world of underground bionic cat cafes and robo-companion bars, and anthro artist Strype has drawn us as robo ferals for the cover. The track is out on 7th December on Primitive Light Recordings.